Photo credit: Adapted by WhoWhatWhy from David Benbennick / Wikimedia and Brutal Deluxe / Wikimedia. Accusations of “rampant fraud” loomed large during the Florida recounts that are slowly wrapping up. Gov. Rick Scott (R) called the Democratic push for tabulation of ballots an effort to steal the election. President Donald Trump amplified his claims — without proof. But the focus on unsubstantiated claims of fraud in Florida serves to distract from a much simpler, more troubling and more real problem: that election administrators — from the county level right up to Secretary of State Ken Detzner (R) — fail to follow the law. While politicians and commentators debate the legitimacy of allegations of fraud, the state faces concrete issues with its election administrators. The recount scandal is but the latest manifestation of a system fraught with abuse. 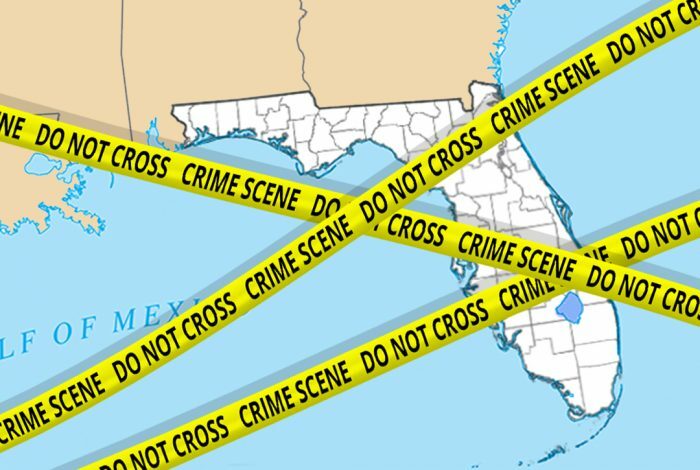 From mismanagement to obvious discrimination, election infrastructure in the Sunshine State is rickety and chaotic, subject to manipulation and worse. Detzner has championed clever strategies to push the limits of legal election oversight. The courts, especially US District Judge Mark Walker, have made a point of keeping state leadership in check. Judge Walker issued several key — and stinging — injunctions this year in response to state-led strategies to restrict access to the ballot box: one for denying the constitutional rights of convicted felons; the other for failing to provide Spanish-language ballots in several counties. Several months later, Detzner found himself again the subject of Judge Walker’s precise and cutting language. 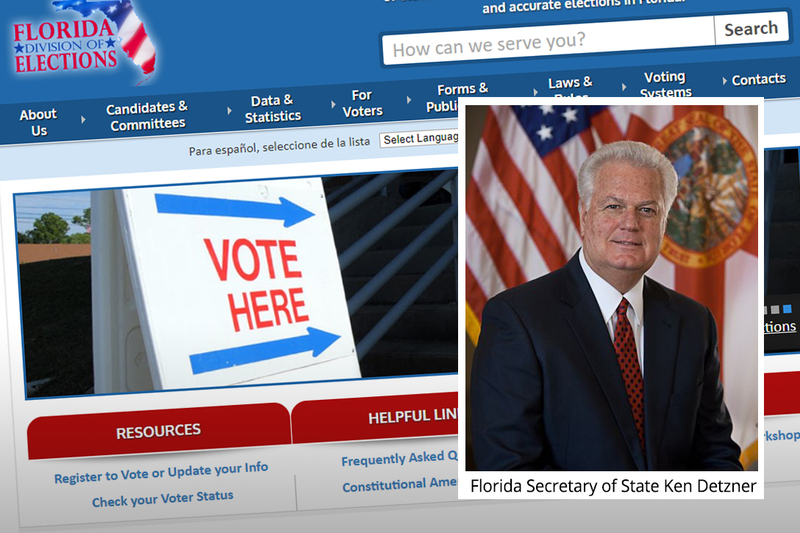 In September, the court issued an injunction that upended Secretary Detzner’s attempts to not provide Spanish-language ballots in several Florida counties. Judge Walker determined that the failure to provide translated ballots amounted to a violation of the Voting Rights Act, which outlines the need to provide election materials to voters in a language they understand. “Voting in a language you do not understand is like asking this court to decide the winner of the Nobel Prize for Chemistry — ineffective, in other words,” Walker wrote in his opinion. What Detzner did looked a lot like an attempt to hinder the voting rights of thousands of Puerto Ricans who arrived in Florida post-Hurricane Maria. But Florida’s election woes trickle down to the county level too — and across partisan lines. Take Broward County, the subject of much debate and conflict since the midterm elections. Scott came down hard on the local election administrator, Brenda Snipes, levying accusations of explicit fraud and ill intention. There is no concrete evidence of either, but Snipes appears to have been disastrously incompetent — at best. This week, the county missed the electronic recount deadline by two minutes. Instead, it turned to counting ballots by hand. Most recently, she announced some 2,040 ballots went missing during the recount process. Snipes reportedly mixed up valid and invalid ballots, too. Moreover, a 2016 civil court case found Snipes guilty of destroying ballots within months of the primary election. Federal and state law requires that election administrators preserve paper ballots for twenty-two months after an election. Tim Canova found out the ballots had been destroyed when he filed a public records request. He had run against incumbent Rep. Debbie Wasserman Schultz (D) and was surprised to see her pull ahead by 13 points in the primary. Snipes’s office wouldn’t hand over the ballots; Canova eventually turned to the courts. The judge found that by destroying the ballots, Snipes had violated the law. Such back-channel attempts to control the process surface across the system: it isn’t an issue tied to particular political parties or places. Without an election system that demands public oversight, opportunities for abuse abound. In the absence of transparency, both abuse — and false allegations of abuse — can thrive. But some think the incentive to adopt and enforce open and accessible election procedures is low — particularly among sitting politicians. Related front page Adapted by WhoWhatWhy from sign (DonkeyHotey / Flickr – CC BY 2.0).